18ct White Gold Diamond Fitted Wedding Ring to Trilogy Halo Engagement Ring — Form Bespoke Jewellers Ltd.
A diamond set fitted wedding ring handmade to fit a trilogy halo engagement ring. This is lovely example of a fitted wedding ring that doesn’t follow the profile of the engagement ring, but instead sits neatly alongside it whilst complementing its style. 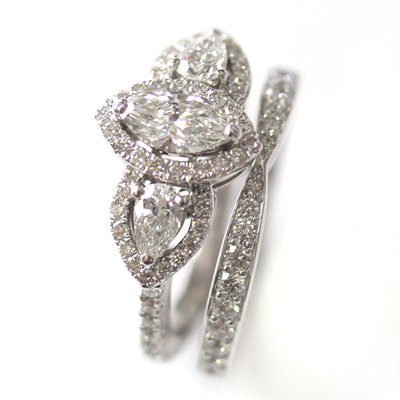 It also allows both rings to make a statement independently rather than appearing to merge from one to the other. The tapered band of the fitted wedding ring nips in where the furthest part of the engagement ring comes out. 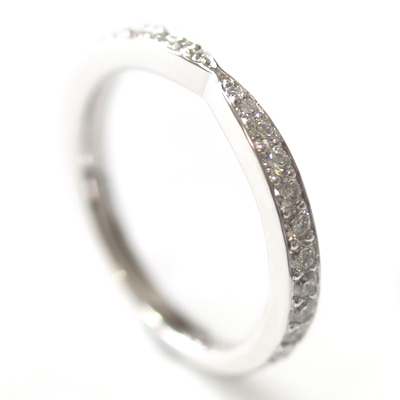 The round brilliant cut diamonds graduate in size to coordinate with the tapering width of the band. 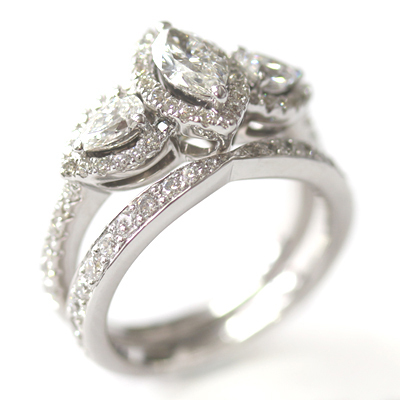 All the diamonds are of matching colour and clarity to the engagement ring and are grain set too. This ensures a flawless finish across the set. 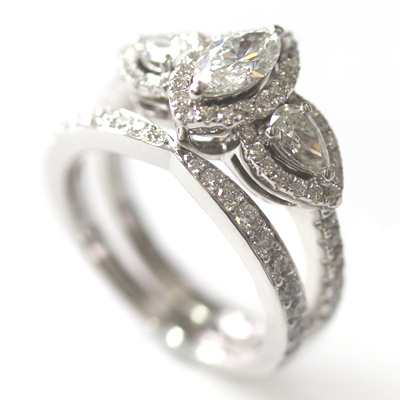 Both rings are 18ct carat white gold and both retain their own unique style and sparkle. A beautiful pair!